 If you are interested in signing up for the Class of 2018, please contact the Community Foundation of Greene County at cfgcpa@gmail.com, or call 724-627-2010 and request to be put on the mailing list. To view the Community Builders Application form, you need to have Adobe Acrobat Reader installed on your computer. What is Community Builders of Greene County? Greene County has a rich network of community, civic and nonprofit organizations to provide social services, recreation, cultural and civic opportunities. Yet, in this small community there are a limited number of community leaders to serve these organizations, and many current leaders will retire in the next ten years. In order to keep our community strong and growing, we need to build a new generation of community leaders, and provide opportunities for citizens to become engaged in their community. 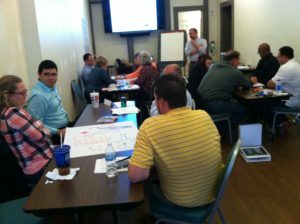 Community Builders, a project of the Greene County Community Foundation in collaboration with a number of local organizations, has developed an effective low-cost training program to introduce potential leaders to basic leadership skills and community organizations. Community Builders provides low-cost, quality training for present and future leaders of Greene County who want to improve their leadership skills. Many businesses, non-profits, and other organizations, groups, communities, etc., send current and potential board members, directors, staff and volunteers to attend the sessions. The Community Builders class includes is comprised of eight (8) sessions which are three hours long (5:30-8:30 pm). The eight sessions are conducted every other week from the last Monday in August through the second Monday in December. A light meal is provided for participants. Local leaders and educators conduct all sessions. They possess both the experience and expertise to lead participants toward competence in nonprofit leadership and economic development. These professionals donate their time and expertise to make the program more relevant to the local area, and to keep the cost of attending as low as possible. Community Builders has graduated fourteen classes of leaders in the Nonprofit Leadership Track. These graduates have rated the program very highly. Graduates are better prepared to lead meetings, understand financial statements, use communication skills to gain results, use research and networking to solve problems, and serve their community. The nonprofit leadership program explores nonprofit governance and boards of directors, financial management, communication and team work, strategic planning, public relations, fundraising and technology, among other topics. This track is geared to helping citizens become better volunteers with non-profit organizations in the community, whether it be through activities such as serving on non-profit boards, volunteering on fundraising committees, or providing volunteer services, etc. The fee for the class is $150 per participant. While many participants pay their own fee, other participants’ fees are sponsored by their employers, or other organizations. Limited partial scholarships are available on a need basis. The 2018 Community Builders class will begin Monday August 27, 2018 . Below is the 2018 schedule. Each session will be offered on every other Monday through December 3nd. Please check back for more information and an updated application form in June. The 2018 Community Builders program will be held at the new Community Foundation Meeting Room at 106 E. High Street, Waynesburg. Community Builders of Greene County participants are expected to attend and fully participate in all sessions in their entirety. Participants are expected to arrive on time, and a light dinner will be served at each session. Participants should immediately add all sessions to their calendars. Because there are only 8 sessions to the program, it is recommended that participants miss no more than two sessions in the program. 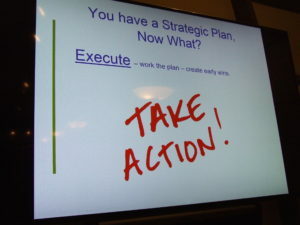 In addition to session attendance, participants are encouraged to attend one or more community or non-profit board meetings to assess their effectiveness. Dress for all sessions is casual. There is no formal dress code; however, please choose attire that is not offensive to other participants and/or presenters. Download a full copy of the Program Participation Policy. A hard copy will be provided will be provided upon acceptance to the program and a copy will be provided in the Notebook. Community Builders extends a big THANK YOU to our 2017 Sponsors!